Are you trying to work out an agreement with your spouse? It can be challenging if there is tension. We can advice you on the best way to be working with your spouse for custody. Here is what you need to know. Divorces disrupt family traditions established over years. You want to keep that tradition, but you have to share it with your former spouse. There are many creative ways to reach an agreement on how to share the holidays. Some are easier: Mom gets Mother’s Day and Dad gets Father’s Day, as well as the respective birthdays. But what about Christmas Eve and Christmas Day? The eight days of Hanukah? New Years? How will both parents get to share in the experience of their children’s birthdays? It’s unlikely that you’ll get exactly what you want when holidays are shared. And if you leave it up to them, New Jersey courts will almost always make parents alternate. The complications of sharing holidays should be an inducement for you to go to mediation for this part of the divorce process. Coming to a cordial agreement with your spouse will allow for more creative solutions, and be better for the children. When one parent decides to take children on a trip abroad after a divorce, this often leads to conflict, stress, and re-litigation. It’s best to anticipate this issue and come to an agreement in mediation. Can you anticipate reasons for the children traveling abroad – like family members in other countries? Is there a fear that one parent might flee the court’s jurisdiction with the children? If you feel this way, you should notify your attorney at the start of the divorce process, so your attorney can inform the judge at the proper time. Consider, too, that both parents have to agree before children can obtain passports. If your children don’t already have passports and you anticipate wanting to travel abroad, make sure you broach the subject in mediation, and try to avoid re-litigation. 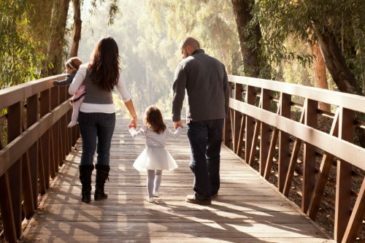 If you need legal help working with your spouse for custody, please call our New Jersey child custody attorney Tanya Freeman today for a free consultation.